Google on Feb. 15 turned on the browser ad-blocking feature it's been talking about for a year. Here's how it works and why Google acted. Google, as promised, has launched the Chrome browser ad-blocking feature it has touted for nearly a year. Although not the first such effort by a browser maker, Google's decision - effectively a pre-emptive strike against even more users turning to independent add-ons for killing online advertisements - has both import and impact by virtue of Chrome's dominance. 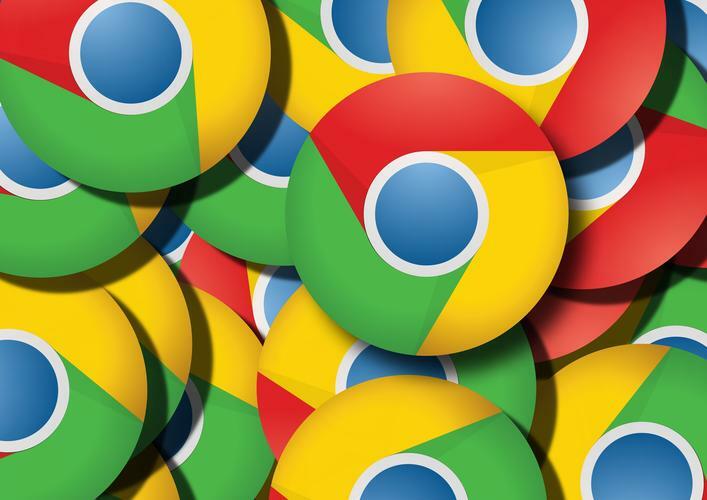 With more than 61% of all browser users running Chrome as of January, according to analytics vendor Net Applications, when Google's browser whispers, the web listens. Sites that instead tune out last week's move do so at their peril. Just what is Chrome's ad blocking - Google likes to call it "ad filtering" - really all about? How does it work and what's the reasoning behind it? All good questions. We've got the answers. What is Chrome ad filtering? 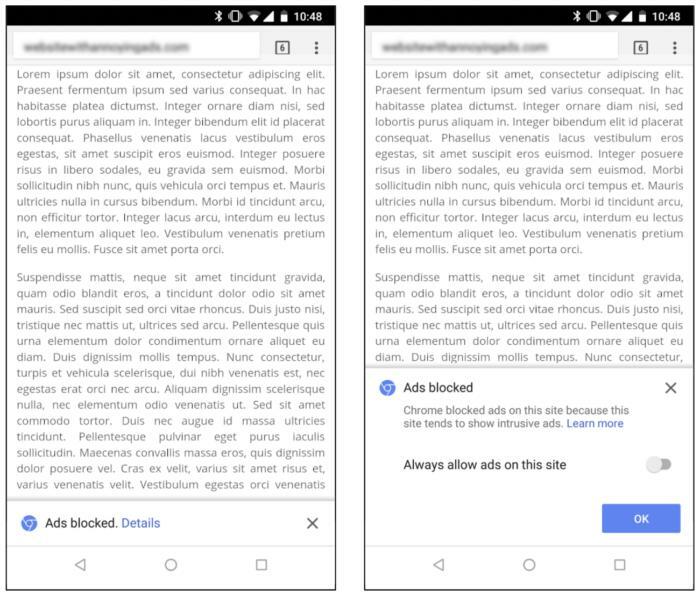 Google has dubbed Chrome's new functionality an "ad filter" rather than calling it an "ad blocker," the far-more-common label for separate or baked-into-the-browser software that scrubs online ads from website pages. That's because Chrome does not, as do most ad blockers, eliminate all ads from all sites, then close up the now-empty spaces to make the page look more or less composed. Instead, Chrome looks for certain types of ads, those that the Coalition for Better Ads (CBA) says violate what the industry group calls its "Better Ads Standards," then expunges ads from the sites displaying such pitches. The standards have identified several ad types on the personal computer desktop and on mobile devices that CBA-released research claimed are the most annoying of all online advertisements. On a PC, Chrome looks for four ad categories out of six considered by the panel: pop-ups, ads that automatically play video and audio, "prestitial" ads accompanied by a countdown clock, and those dubbed "large sticky ads," which blanket more than 30% of the screen and remain in place no matter how much the user scrolls. Chrome sniffs out a different mix - eight kinds of ads from the dozen originally scrutinized - when it's running on the Android and iOS mobile operating systems. The Better Ads Standards consists of 12 ad types that users reported as particularly annoying. Google is walking a tightrope calling its approach filtering (rather than blocking) because the end result on sites struck by Chrome is the same as if an ad-blocker add-on was installed: All ads have been "disappeared." The filtering Chrome does is on a site-by-site basis, not ad-by-ad, something that some commentary about the new functionality failed to mention. How does Chrome's ad filtering work? The multi-step process Google has implemented starts with an automated evaluation of a sampling of a site's pages that tallies violations of the coalition standards. Each site is handed a grade: Passing, Warning or Failing. A warning means that the site has "a number of ad experiences that violate the Better Ads Standard," which the site administrator should correct before re-submitting for a follow-up review. A failing mark means "numerous" violations were found, and that the site owner has 30 days to make changes and request a second review. Ad filtering kicks in after that grace period if fixes are not implemented. Once ad filtering begins, Chrome will scrub advertisements from a site for at least 30 days, because review submissions after the first two cannot be made until 30 days have passed. Failing-grade sites get added to a list that Google maintains on its servers. Chrome uses that blacklist to look up URLs. When it finds a match - the browser has been steered to a site with a Failed grade - Chrome does another look-up, this time to a set of ad "fingerprints" caged from EasyList, the open-source ad-identification-and-removal rules list that forms the backbone of most browser ad blockers, including Adblock and Adblock Plus. At that point, Chrome declines to honor the page's requests for ads, preventing them from appearing because they're never loaded. (Most ads are served by third-party networks, not directly from the servers running the site on which those ads run.) On any page with at least one omitted ad, Chrome notifies the user with an "Ads blocked" message. That, in turn, can be expanded to display a description which reports, "This site tends to show intrusive ads," along with an option to turn off the browser's filtering for that site. ThoughÂ Chrome will automatically block intrusive ads that violate the Better Ads Standards, users can disable the feature. This is important to remember: On sites that have failed the eval, all ads are eliminated, not just the ones that led to the violation in the first place. Think of the ads that led to the failing grade as triggers for Chrome to cleanse the site of every advertisement. Google has not always led its announcements with that information. But in December, in an update on the anti-ad campaign, Google stated, "Starting on Feb. 15 ... Chrome will remove all ads from sites that have a 'failing' status in the Ad Experience Report for more than 30 days [emphasis added]." In June 2016, when Google broached the ad filtering idea, it cited a 30% year-over-year increase in the use of browser ad-blocking extensions, fueled by "overwhelmingly frustrating or intrusive" ads. "This reduces the ability for publishers to continue creating free content and threatens the sustainability of the web ecosystem," the company explained. Although Google has at times touted as a reason for restricting ads its desire to improve the user experience of Chrome, it has most often stressed the importance of keeping online advertising's reputation from bottoming out. That's no surprise: The company's rise to dominance was fed by ad revenue, specifically the ads users see when they run Google's search engine. By extension, what poisons, or even taints, the online advertising well may, at some point, directly affect Google's ad revenue. Google has incredible motivation to do whatever it takes to ensure that does not happen. One hint that Google's ad-blocking rationale differs from other browser makers' appeared in the company's announcement last week that it had switched on ad filtering. "We're encouraged by early results showing industry shifts away from intrusive ad experiences and look forwarding to continued collaboration with the industry toward a future where Chrome's ad filtering technology will not be needed," Chris Bentzel, an engineering manager on the browser team, wrote in a Google blog post. Bentzel was referring to a statistic he cited that said more than 40% of the sites tagged as failing in the early evaluations had dumped the offending ads to become compliant. Other browsers that have declared war on ads, or some types of ads - Brave is one example - have been explicit in trumpeting the boost in performance that results when ads aren't rendered on a web page - not the long-term benefit to publishers and a rescue of online advertising. How does Chrome's ad filtering affect browsing? Most people using Chrome after Feb. 15 won't notice a difference. According to Google, just 1.5% of 100,000 sites it evaluated prior to the ad filtering launch failed to meet CBA standards. And of those, only 0.9% displayed excessive numbers of the annoying ad categories. For the multiplication-challenged, that means of every 100,000 websites, Chrome would scratch out ads on about 14 sites. How can site publishers sidestep Chrome's ad filtering and blocking? That's a good question, and so far, the answer from the CBA is unclear. The organization has said that site publishers who seek and are granted "certification" would be immune from Chrome's blockade. According to a statement from the CBA last week, Google wants to be among the entities allowed to access compliance and thus "certify" - whatever that means - publishers. Key, however, is that Chrome will be kept at bay by certification. "Google has informed the Coalition that it will not filter ads for any company certified under the Program's requirements," the CBA said in the statement. The CBA won't charge for letting a site publisher self-certify, at least not immediately. "Enrollment by each interested publisher allows the company and its domains to be included in the Program's register," the CBA added. "Initial publisher registration will be free of charge until at least July 1. Thereafter, registration may be on a fee basis [emphasis added]." Elsewhere, the CBA confirmed that fees, if there are any, will be annual. It would be foolish to bet against a fees-at-some-point reality. The CBA itself implied as much on its website, where it dubbed the "Better Ads Experience Program" and spelled out the benefits to registration/certification. "This Program has been created by the Coalition for Better Ads to support its mission to improve the online advertising experience for consumers and promote adoption of the Better Ads Standards [emphasis added]." The group also said that fees, if any, would be announced at least 30 days prior to the termination of the free trial run, another clue that money will play a part.